It is a fact that each year thousands of people from Spain and abroad choose Torrevieja area as their holiday location. Its wonderful sandy beaches, lovely parks and a variety of hotels and camping sites not to mention the shopping malls, theatres restaurants and bars make it a popular choice. However, in the terms of history this is all relatively recent and the history buff will find the growth of Torrevieja fascinating and enjoyable. Torrevieja was once a tiny pueblo dependent on their white 'gold;' salt for their economic survival. The salt and the sea therefore became the two most important and inseparable factors in the lives of the local inhabitants, being surrounded by the famous salt lagoons of La Mata and Torrevieja. These lakes have now been designated as National Parks and are home to a huge variety of bird species with as many as 200 being sighted on the lakes. Torrevieja, the City of Salt has a rich history and was fortunately well looked after by rulers who gave their blessing to new projects, in some cases instigating the new projects themselves and what we see today is evidence of the progress made since 1803. Before the 15th century the Roman Chronicles note the value of the salt at that time being extracted from the Laguna de La Mata. In 1482 in order to establish a breeding place for fish in the large salt water lagoon King Fernando I of Aragon authorised the construction of a canal or channel between the sea and the lagoon. In fact even at that time the salt was so valuable that it funded the travels of Christopher Columbus. The salt also came in useful in a more domestic way during these travels by keeping the fish protected. 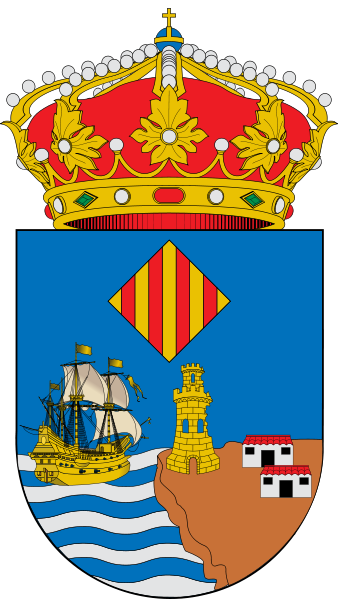 In 1533 the aldermen of the Valencia Vespasiano Gonzaga ordered the fortification of the towers and castles of the coast of the Kingdom of Valencia and among those towers are the remains of what is known as the Old Tower (Torrevieja). Later, in 1760 the first families began to colonise the area, in the main these were fishermen and their families and they became the first inhabitants of a pueblo which has since become a cosmopolitan town of nearly one hundred thousand inhabitants. At the beginning of the 19th century there was only a watch tower, the Old Tower and just a few houses and it was about that time that the town began to grow when in 1802 King Carlos IV organised the removal of the offices and administration of the salt mines to Torrevieja from La Mata. Following this in 1803 he began the organisation of the infrastructure of the town providing 'straight streets of regular width' and introducing the offices of justice. This in turn brought about a fairly rapid expansion of Torrevieja, enjoying the two natural attributes of being so close to the salt flats and being a port which by now was not only exporting salt but also the fruit and vegetables grown throughout the Vega Baja. A turning point in the history of Torrevieja was when it gained its independence from Orihuela in 1820 and it has grown rapidly in importance since then and is today one of the leading European producers of salt exporting approximately one million tonnes each year, mainly for export making it the prime European salt-producer. 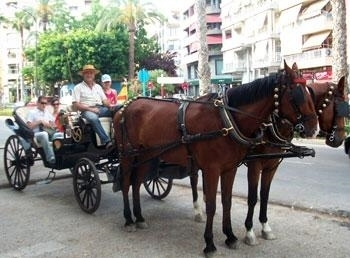 Torrevieja at your leisure by Horse and Carriage. Playa del Acequion the port area of Torrevieja, within the Club Nautico de Torrevieja and near to Torrevieja’s modern marina. Private Rental Holiday homes to rent in Torrevieja. 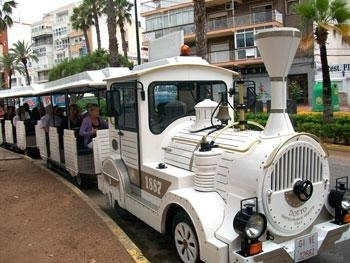 The Torrevieja train is a unique way of seeing Torrevieja town and sea front. A visit to the sea and salt museum with model ships,shipbuilders and sail makers tools plus Roman artefacts from shipwrecks off the coast and many other items of interest.